Let these infused cocktail cubes play bartender for you. Made in the USA, the cubes are pre-mixed flavor blends—like honey, fruit juice, and handcrafted bitters. Keep ‘em chilling in the freezer until you’re ready to pop one in a glass of alcohol (or seltzer for a mocktail). Whether you prefer things shaken or stirred, these tasty cubes are sure to whet your whistle. Dimensions: 9" x 6.75" x 1.5"
Great taste and I hope other cocktails will become available. The easiest way ever to create a one-glass craft cocktail. 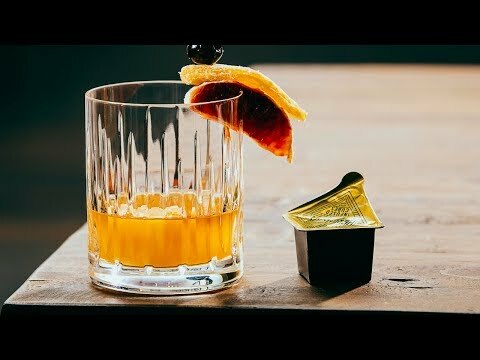 Herb & Lou’s infused cocktail cubes take the measuring and mess out of mixing drinks. Made in the USA, each cube is a perfect portion of mixer that chills out in the freezer until you’re ready to kick one back. 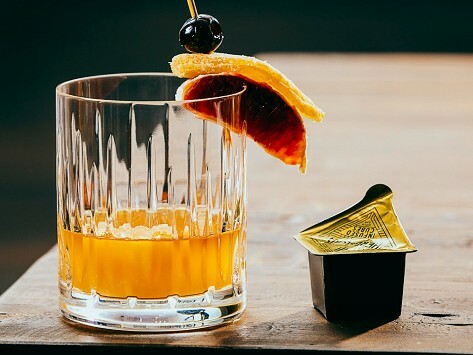 Pop a frozen cube in a glass along with a shot of liquor and, with a shake (or stir), the cube thaws and the flavors open up. Each set of cubes comes with a suggested pairing—like tequila or vodka with the Cucumber & Watermelon—but you can experiment with your own combinations. Or skip the hooch and mix a cube with seltzer. Founder Reid Rosenthal’s grandfather Herb and his buddy Lou are the savvy bartending duo behind the cubes. Back in the day, Herb and Lou loved to socialize, but didn’t like getting bogged down with drinks duty. So they froze their own blend of mixers into cubes for guests to grab and mix. Reid thought this was such a great idea, he dusted off Herb’s cocktail book and got to work.